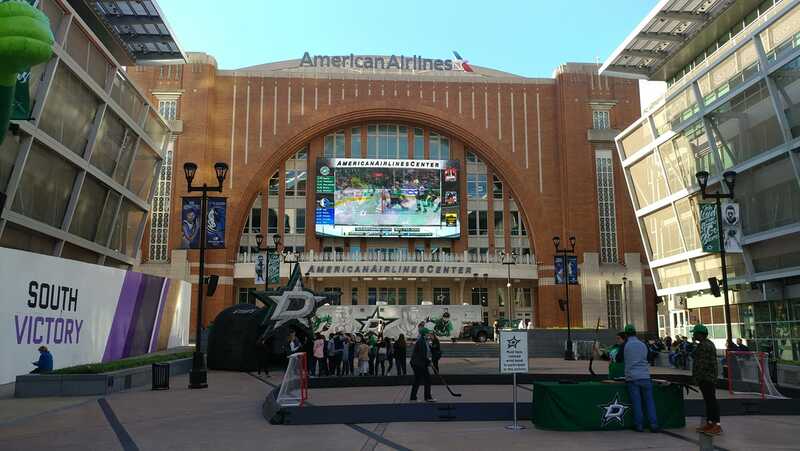 The Texas A&M Ice Hockey team was represented well at the American Airlines Center on college night, October 25, 2018. 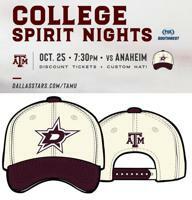 All Texas A&M University fans that made the trip for the game between the Dallas Stars and Anaheim Ducks received a free embroidered cap compliments of Fox Sports Soutwest. The biggest exposure for the team was the displaying of the teams hockey Jersey. We were asked by a good number of people on where they could get them. I hope the Spirit Ice Pro Shop is ready for orders.